We received an incredible welcome from local members of the Tsawout and Tseycum bands of the Coast Salish, as well as our friends at Parks Canada. Some community members even sang our leg 2 song, ‘River of Nations’ as we docked! After listening to presentations from the community, including a beautiful performance of “Saturna is our Home” by local students, we joined the island’s Soup for Seniors Lunch. We listened to more music from SEEC students, as well as our very own leg 15 musician Tim Crabtree. Thank you to the chefs and volunteers who hosted us for this meal! The team then set off for Winter Cove, where we learned about a unique Clam Garden Restoration Project. Parks Canada is working alongside Hul’q’umi’num and WSÁNEĆ Nations to restore two clam gardens for the first time in a generation. Clam gardens are places tended to by First Nations people for the purpose of growing desirable plants and animals such as butter clams, sea urchins, seaweeds and other culturally significant species. Restoring these cultural places will hopefully ultimately benefit both the intertidal ecosystem and the First Nations people who care for it. We also visited the Saturna Ecological Education Centre, where we participated in activities led by local students. The Saturna Island School’s enrolment recently fell to below ten students, and the school district and community have worked to create an innovative offering to encourage off-island students to participate as well. 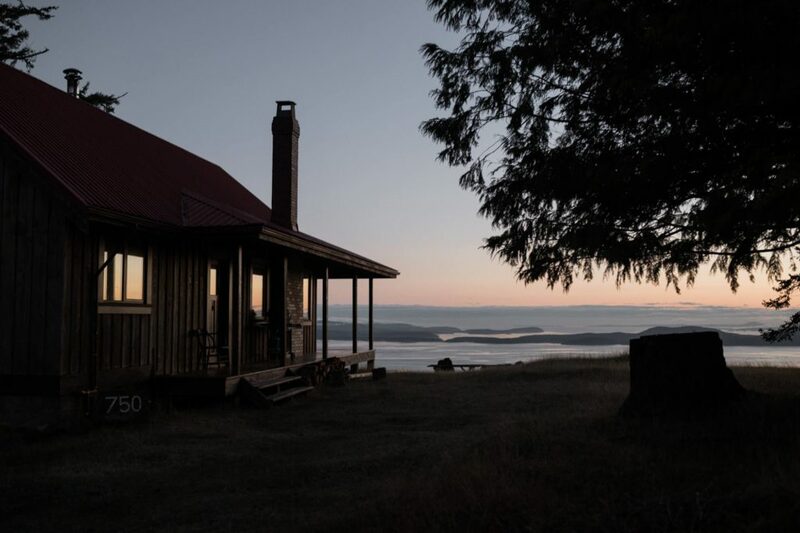 The Saturna Ecological Education Centre (SEEC) is an experiential, place-based ecological learning centre where students stay on the island three nights per week, and learn hands-on ecological education. Our next stop was the Saturna Island Marine Research and Education Society, a non-profit organization that brings marine research and education to Saturna. We were touched by the stories we heard about endangered whale populations, as well as the effects of living in captivity on whales. Our last stop of the day was the spectacular Mount Warburton Pike, the second-highest summit in the Gulf Islands, and part of the Gulf Islands National Park Reserve. We were blown away by the incredible views. We finished the day with a delicious dinner by our leg 15 guest chef Warren Barr, where we heard shared our highlights of the day.